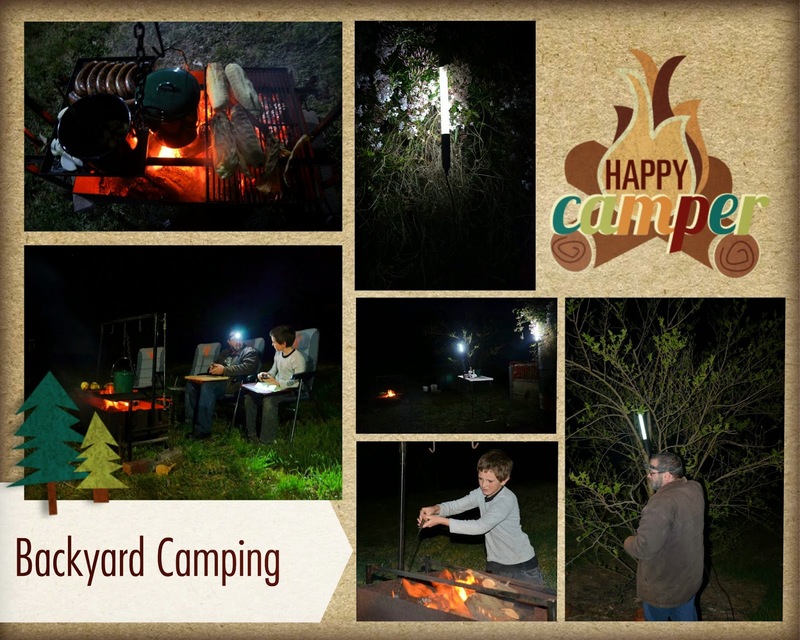 Happy Hamby Campers: Caravan camp-out! We sometimes talk of camping at home but this was the first time we acted on the whim. It was a novel break on the final weekend of the school holidays. Dinner was cooked over my Mother's Day fire-pit, using our Maxi BBQ. We cooked corn cobs (still in their husks) - and they were a huge hit! Vaughan was in charge of organising coals away for the foiled potatoes. He did fine work. The spuds were nicely roasted, in sharp contrast to the burnt offerings we occasionally serve! In fact the whole meal was a great success, eaten under the stars while listening to our neighbouring frogs. We slept in the caravan. Erin had two 4WD camping mats on her bunk, while Vaughan opted for one. Although we'd snapped up a bargain eBay offering of two innerspring mattresses, we hadn't been able to arrange collection for the weekend. Nick and I found our bed comfortable, though there are plans to construct a built-in version with slightly smaller mattress (for ease of making). As first nights go, there were a few hiccups. Nothing too major. A dimmer night-light was found in the early hours of the morning, which definitely increased comfort levels for the less-sound sleepers!